Have a coffee with Jayne and discover how a specialist in the field of Will Writers provide clients and their Financial and Legal Advisers and family the most beneficial ways of providing for their needs. Wills and Estate Planning can be complex therefore it is imperative that people are put at ease and how Jayne explains in terms that everyone can understand. At Syrus Wills, ethical values and a responsible approach are at the heart of what we aim to provide. 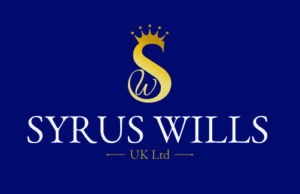 Our client\\\\\\\'s satisfaction is the way we measure the success of the company and Syrus Wills has the ambitious goal of providing the best service in the Manchester area. Last year, approximately 70% of the people in the UK did not leave a Will, potentially reducing the value of their families inheritance, and causing untold stress, problems and additional costs at a time when the last thing they needed was difficulty and worry. Syrus Wills can work in partnership to provide the perfect solutions.